When The Decemberists first came onto the Portland scene, their songs resembled sea shanties. Over the course of a couple of decades they have become known for their stellar live shows and the acclaimed songwriting of Colin Meloy. For their upcoming album I’ll Be Your Girl, the band worked with producer John Congleton (St. Vincent) in an effort to push the boundaries of The Decemberists’ sound. 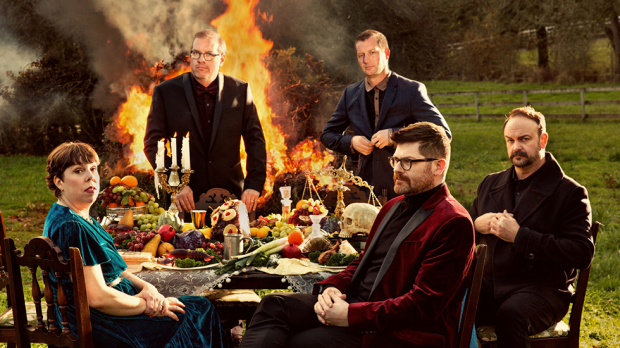 While they may have made a name for themselves with the folk of folklore, The Decemberists make their most dynamic shift yet on album teaser, Severed. To say that Severed is synth-driven would be an understatement with the instrument being like a mid-80’s slap in the face from the opening stanza. With the electronic backbone, Chris Funk delivers some distorted guitar around another set of forboding lyrics from Meloy. If much of Meloy’s lyrics to date have often focussed on yesteryear, then Severed finds him right in the now with the darkness of the Trump era hanging heavy throughout, culminating in the chorus of “gonna leave you all severed”. The dramatic shift in sound hits you like a plunge into an ice bath, but starts to show its appeal after repeated exposure. If nothing else, Severed hints that the new album will be an interesting listen first up listen.